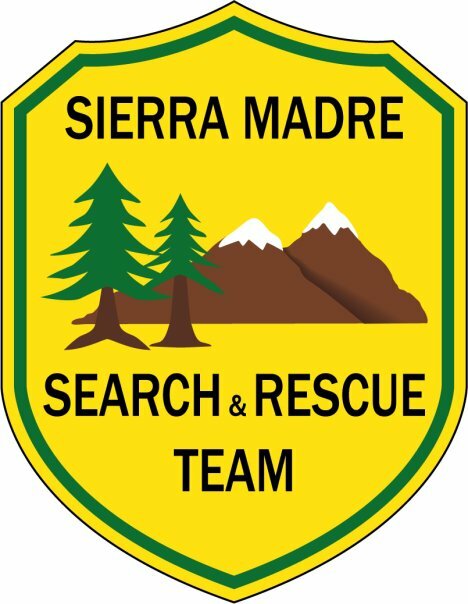 Today we are pleased to debut a new monthly feature on the News Net, the rescue log of the world famous Sierra Madre Search and Rescue Team. The log will appear on or about the first of the month each month, to find past logs, you will be able to click on “Search and Rescue” in the cloud tag in the right column of the page. Injured Ankle, Chantry Flat: The Team was called to aid a hiker who fell while carrying a child across a creek near Chantry Flat. Medical assistance was provided and both parties were evacuated safely. Technical Rescue, Eaton Canyon: SMSR was called to assist Altadena Mountain Rescue in the technical rescue of a fallen hiker in Eaton Canyon. The injured hiker was stabilized and then lowered from a high point using a vertical litter setup. Stranded Hikers, Chantry Flat: The Team responded to a report of hikers stranded in a precarious position near a waterfall in the Chantry Flat area, but while searching for the parties it was learned that they were no longer in danger. Before leaving the area Team members already in the field were able to perform a “rescue” of sorts: assisting a different hiking party with retrieving a backpack that had been washed away. In addition to responding to calls for help, Team members also performed two wilderness safety demonstrations at local elementary schools. 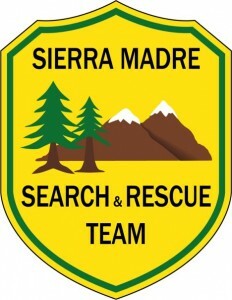 SMSR maintains a high state of readiness by training regularly in its local area and with other mountain-rescue teams. 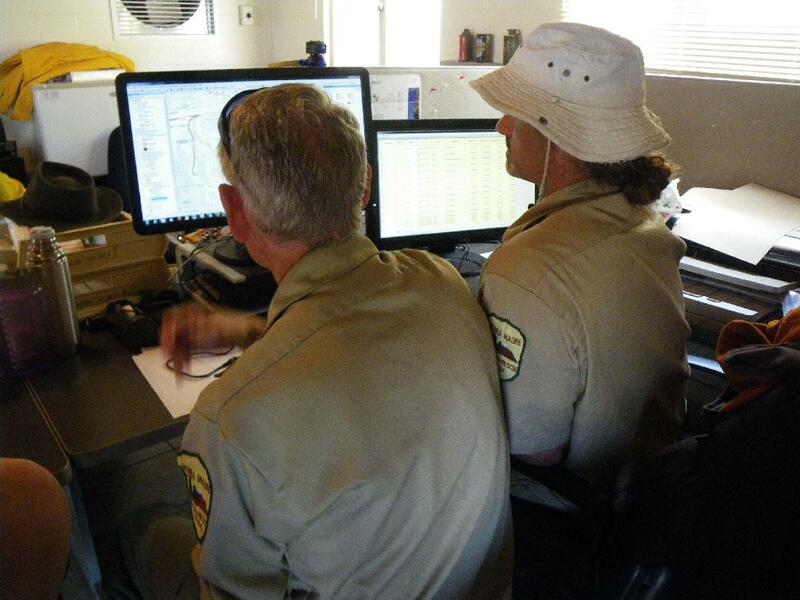 In April the Team traveled to Joshua Tree National Park for an annual joint training with Joshua Tree Search and Rescue (JOSAR), Desert Sheriff’s Search and Rescue and the Riverside Mountain Rescue Unit. “This multi-agency training event has developed into an anticipated opportunity for the teams involved to gain and to hone skills, and to get to work together,” SMSR President Larry Smith said. During this event two SMSR members “got lost” in the park and the other participants–with no knowledge of the members’ locations–were tasked with finding them. Ground teams tracked the subjects using footprints and other clues. 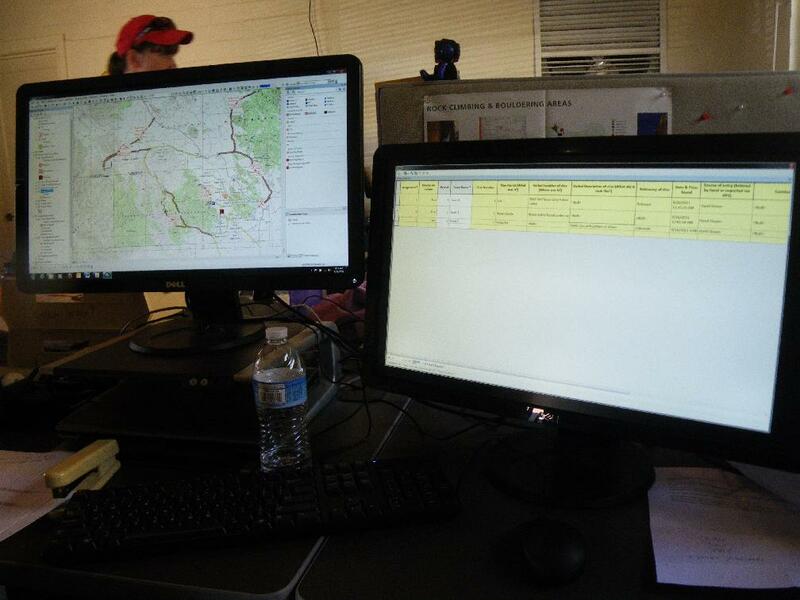 This year SMSR brought with it a new tool to help leaders manage the search: recently-developed GIS software designed specifically for search and rescue operations (SMSR has been instrumental in the development of this software). “Individual searchers go into the field to track and look for clues, but they are dependent upon a few who run the base camp operation,” Smith said. “These folks make the search assignments, redirect teams in the field, man the radios, keep track of all the clues teams are finding, evaluate the clues and generally manage the operation. 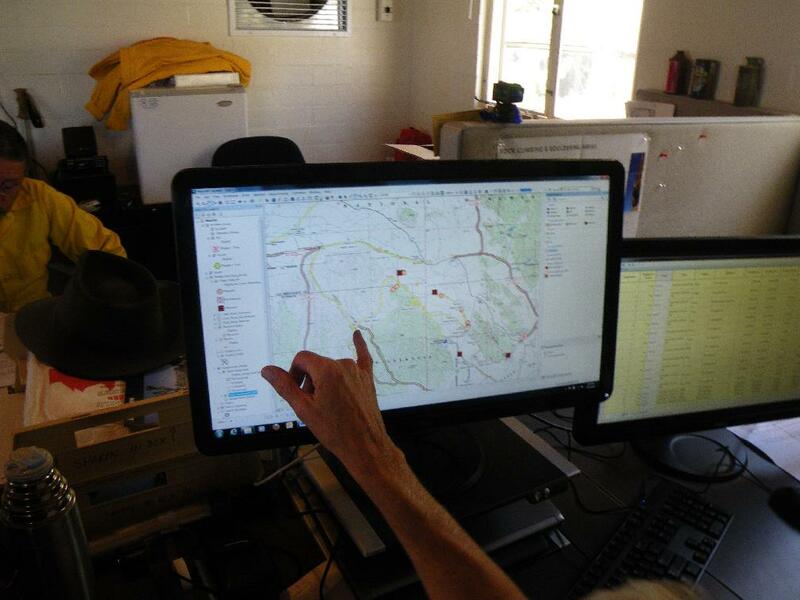 GIS, as it was applied, allowed the search leaders to track in real time the progress of the search teams, plot the clues found, give timely direction to the field teams, and overall more effectively run the search. JOSAR was particularly impressed with the technology Sierra Madre brought to the search.” Click a photo below to enlarge it. Click here for an article and pictures about a Technical Rock certification the team passed with flying colors earlier this year. The all-volunteer SMSR team has been serving the local community for 60 years. Funded entirely by private donations, SMSR provides a range of public programs on wilderness safety in addition to its search and rescue activities. The Team never charges for any of its services. For more information, including how to arrange a wilderness safety demonstration for your school or group, visit www.SMSR.org.